You know what they say - April showers bring May TRAVELS! The time has almost come, my friends. Less than a week stands between us and Europe! As always, I am woefully behind on my "must do before we leave" list, thanks to a busy few weeks at work and my tendency to procrastinate. Although the list of activities doesn't look like much, April kept us busy! Got some epic sunburns while sprucing up the flower and vegetable gardens - life on a hobby farm! Visited EIGHT more Virginia wineries and began the #252by2022 challenge. Went arrow-head hunting and sunburn catching (again!) in Virginia's Northern Neck. It really doesn't seem like a lot, does it? Over a week of my life was stolen by allergies this past month, though, and that squashed some of our plans like wanting to visit Appomattox Courthouse for the 150th commemoration of General Lee's surrender to Grant, which effectively ended the American Civil war. Appomattox is only 90 minutes away, but without a voice and the energy to even sit in a car, some of our valuable weekend time was spent couch-bound. We're so excited for the next 30 days, though! Soon we'll be wandering through ancient Greek ruins; dipping our toes in the Mediterranean; feeling vastly less fashionable than the Parisians as we snap selfies under the Eiffel Tower; and soaking up every last precious minute with relatives and friends in the heart of Germany. We're cramming a lot of action into 18 short days. Be sure to follow our adventures on Twitter and Instagram with #EurSoGypsy! 1. Still hitting the trails hard. Hopefully my feet (and stamina!) are ready for the marathon of walking in Europe. 2. The credit card balance is still going down, and the Venture miles keep going up! We're at nearly 6,000 miles now. 3. I'm going to mark this one as being fully accomplished for the year. Most days are entirely caffeine-free, and I feel great! 4. This one may end up being a lost cause for 2015. Oops. 5. Still no. But I'm going to let the #252by2022 challenge replace this one. Let's see how many wineries we can fit in this year! 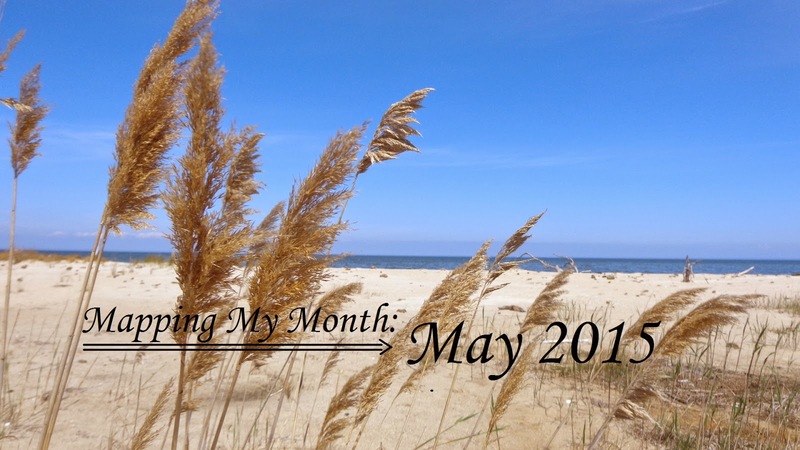 What are you excited about for May? 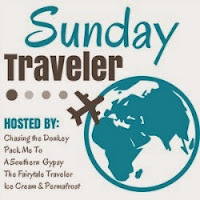 Linking up for the #SundayTraveler! April was good, and I'm excited to read about your 18 day trip, have fun, and safe travels! Excited for you and your trip to Europe! Can't wait to see pictures! My mom took my little cousins to the Appomattox festivities and they excitedly sent me many pictures of what they were learning. There's no better way to learn than to see these things up close, especially for kids! Yay! I'm so excited for you! Looking forward to seeing all the pictures from your trip. Have a fantastic time!